← COOPER’S FOLLY Launch Party with Mary Strand & Friends!! Karen’s Killer Fixin’s **AUTHOR SPECIAL** with JAVA DAVIS!! Welcome to my Friday bonus feature called Karen’s Killer Fixin’s **Author Special**!! Today, in lieu of one of my own recipes, I’m going to introduce you to a new author who will share one of her favorite recipes. Not only will you and I occasionally learn how to make something new and delicious, but we’ll get a chance to check out some wonderful authors. Introducing author, JAVA DAVIS, and her favorite recipe for VEGETABLE & FETA LATKES (Jewish Pancakes)! 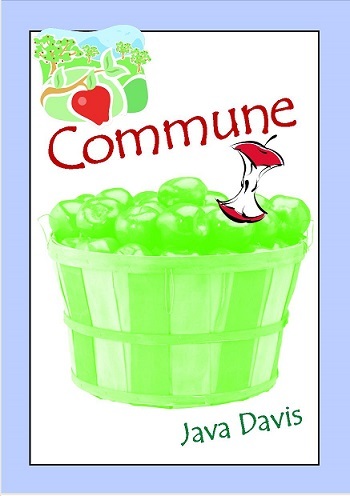 Written by popular self-published author Java Davis, COMMUNE is the story of an apple commune and the disparate group of wanderers who end up there. The commune becomes a microcosm of conflicts: dedicated vs. slacking, honest vs. traitorous, hopeful vs. cynical, and most importantly, connected vs. disconnected. Is one woman’s vision enough to carry the apple farm to a comfortable prosperity? The diverse cast of characters includes Momo, the founder of the commune and legal owner; Maia, a former business school roommate, who has something to hide; Linda, another college roommate, who thinks a commune would be a fun vacation; Bobby and Baz, fraternal twins who have a differing view of farming; Dan, the supplies delivery man, who loves the parade of women who come and go at the commune; Dulcie, a bitter, displaced chef; Kick, a self-styled Buddhist; and many others. The future of the commune often hangs by a thread. Who can Momo count on for help when the going gets rough? Just before graduation from business school, Momo bought a lottery ticket. A winning ticket. A big winning ticket. She skipped the graduation ceremony in favor of visiting an apple farm in Michigan, hearing about it from one of her old Kalamazoo College connections. But Momo didn’t just see an apple farm. She envisioned, dreamed, an apple commune. Workers could move in for room and board and they would all make the apple commune a great success. On a flat plot of land near the barn, her mind’s eye could picture a new processing building, up to code and with the latest and greatest available machinery. Momo raced back to Pennsylvania to gather up her things and catch Maia before she left town. “I bought the apple farm,” she told Maia. Maia’s mouth dropped open. “What? !” she asked in surprise. Momo was crushed but pretended to be unconcerned. 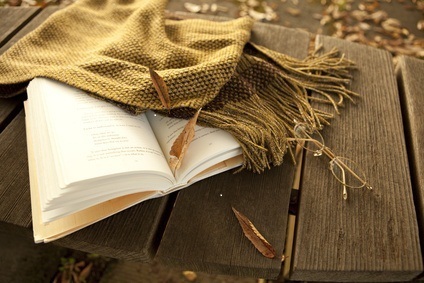 About the author, Java Davis…. BA in English, Masters work in Linguistics and Literary Research. Over ten years as a freelance typesetter doing type design, editing, marketing and PR. Currently retired/disabled, carving out a writing career by the seat of my pants, riding my La-Z-Boy recliner. I hope you enjoy the recipe Java is sharing with us today on Karen’s Killer Fixin’s. Happy eating! P.S. We’re at 128 recipes and counting with this posting. Hope you find some recipes you like. If this is your first visit, please check out past blogs for more Killer Fixin’s. In the right hand column menu, you can even look up past recipes by type. i.e. Desserts, Breads, Beef, Chicken, Soups, Author Specials, etc. Place the zucchini, potato and carrots in a colander, place paper towels or a cheesecloth or an old dish towel saved for this purpose over the top and squeeze out as much moisture as possible. Sprinkle salt over the vegetables and let them drain for 15 mins. Squeeze vegetables again. In a large mixing bowl, combine eggs, vegetables, salt and pepper. Mix well. Stir in matzoh meal or flour, parsley and feta. Spray 3 baking sheets with non-stick spray. Using a large biscuit scoop, scoop even amounts of mixture until used up. You can place them close together, but not touching each other. With the back of the scoop, push down on each latke to flatten slightly for more even baking. Bake in oven at 350 degrees for 8 mins. on one side; turn and bake 6 mins. on the other side. Serve hot with a side of sour cream or apple sauce. NOTE: Feel free to get creative, or make the proportions of the vegetables different. This is an easy recipe to adapt. It’s also extremely diabetic-friendly! **SPECIAL ANNOUNCEMENT: Java will give a #FREE copy of COMMUNE to any reader who sends a photo of having made the recipe (must look like a home photo!) to her email at javadavis@live.com. Don’t miss this chance to read this story!! Thanks, Java, for sharing your book and recipe with us! This entry was posted in Karen's Killer Fixin's and tagged **AUTHOR SPECIAL**, Breakfast, Vegetables. Bookmark the permalink.